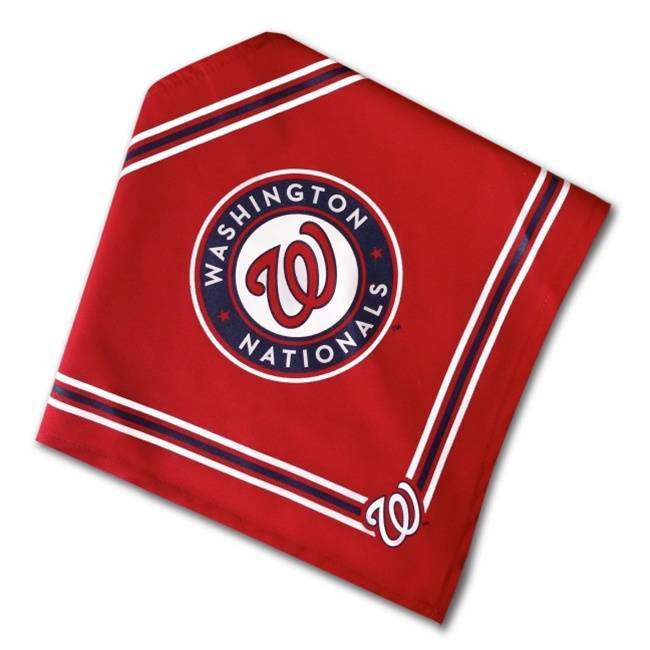 Let everyone know which team you and your four-legged friend support with this officially licensed Washington Nationals pet bandana! Let everyone know which team you and your four-legged friend support with this officially licensed Washington Nationals pet bandana! Bandana is 100% cotton with stylish team graphics. Ties behind your pet's neck.